OML is growing rapidly! They take great pride in the work they do and the talented people who bring OML to life. They're looking for bright and ambitious individuals (great taste in music will be a welcome bonus) who value a collaborative, open and stimulating work environment. 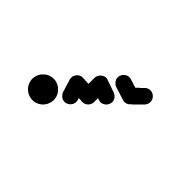 The OML Content team will be working extensively with both the creator and branded projects divisions. While we will be working with a lot of freelance editors, as in-house online editor, you will need to be capable of creating great cuts without any supervision given the workload you will be managing. You will be responsible for a lot of the packaging and look/style/feel across most OML content and will be the online custodian to the organization’s visual content aesthetic. You will devise the look/style of edit for freelancers to follow and therefore set the OML standard of edit. You must understand the creative brief given to you by the producer/creator and work at achieving it within a specified (usually fairly short) time frame. You must also be comfortable with making online changes and delivering an edit that satisfies the many different people involved. Apply for this role if you love online editing and believe it is one of the most creative roles in content making. You must have at least 2 years of work experience as an online editor and understand how to cut with a brief and no supervision. If you don't check these boxes but think this sounds like something you'd be good at, go ahead and send them a pitch!